UPDATED! Great Farragut location! Main Level Master Bedroom. Hardwood flooring on main level. 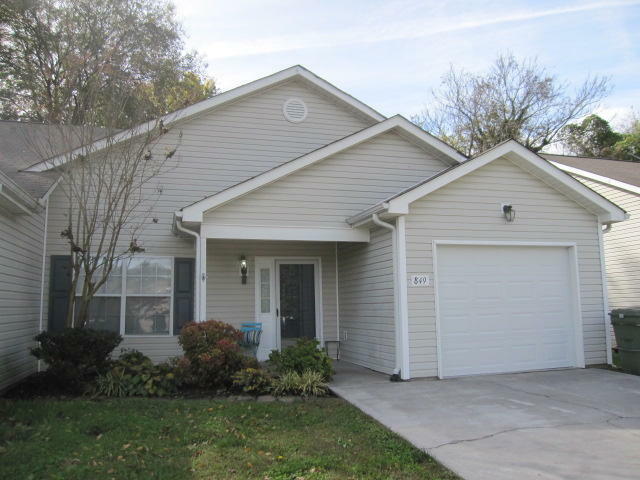 New Trane HVAC, Kitchen updated (all Stainless Steel appliances, subway tile, gas range, quartz counters, breakfast bar), new paint throughout, crown molding, new carpet in BR's, new light fixtures, faucets, new toilets, new washer/dryer, gas fireplace. Private patio, 1 car garage. Lawn care provided by HOA. Neighborhood pool.